With a wave of opiate-related overdoses hitting the province in recent months, much attention from the media and the public has been focused on one drug in particular. Causing an estimated 139 deaths last year in this province alone, according to the B.C. Coroners Service, the synthetic opioid fentanyl has caused concern within the Kamloops community. Last year there were seven reported fatalities linked to illicit opiate overdoses. Estimates on the actual number of overdose fatalities tend to be higher, however, according to the Phoenix Centre’s Osprey House supervisor Patrick McDonald. The Phoenix Centre, founded in 1973, focuses on drug and alcohol addiction services, while its Osprey House works in partnership with the Elizabeth Fry Society to provide support services, specifically for youth who have substance abuse issues. Toward the Heart, a website that is part of the provincial harm reduction program, claims fentanyl to be 50-100 times more toxic than other opioids, and according to McDonald, fentanyl has been the cause of at least three fatalities in Kamloops since the new year as well. Ken Salter, an outreach worker with ASK Wellness claims that there have been even more deaths since then. Though Salter believes that media coverage of fentanyl-related overdoses and fatalities in Kamloops has not been adequate, he said the blame lies with Interior Health and the RCMP for not divulging the actual number of overdoses. However, getting a handle on the real number may be more difficult than it sounds. Salter claims that only a select few individuals who overdose seek medical treatment immediately afterwards. 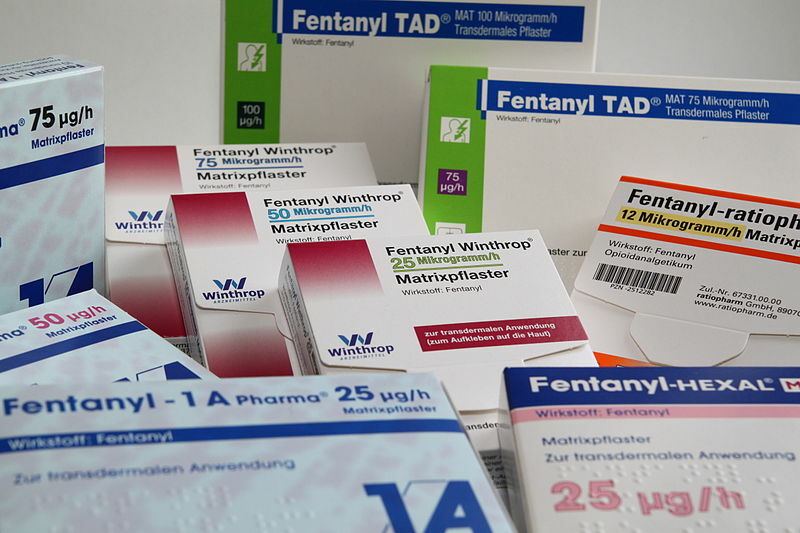 In fact, because of fentanyl’s long half-life, anti-overdose medication like naloxone often wears off before the opiate, putting one in danger of another overdose. According to Salter, the best way to prevent a subsequent overdose is to seek medical care immediately. 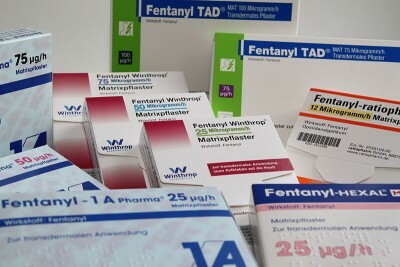 Most cases of fentanyl overdoses involve the drug being cut with OxyContin, a highly addictive pharmaceutical painkiller, McDonald said. He has also heard of other cases throughout the province of fentanyl being mixed in with other drugs, including marijuana and cocaine. McDonald emphasized that those who purchase drugs off the street should practice harm-reduction techniques, such as using a testing kit and making sure they always know what exactly they are using. This sentiment is echoed by TRU’s Wellness Centre as well, who has coordinated with both ASK Wellness and the Phoenix Centre on this issue. Speaking on behalf of the TRU Wellness Centre, Dean of Students Christine Adam said that much of the information being offered to students comes from sources such as Toward the Heart and Know Your Source, websites in partnership with the B.C. Centre for Disease Control. Though Adam recommends abstinence, she said that there are also techniques to reduce risks if you do happen to use illicit drugs. “So if you have an opiate addiction, these are the things that you should be considering. Know your source, consider seeing your doctor and getting a take-home naloxone kit and don’t use alone,” she said. Students looking to learn more about fentanyl and harm reduction techniques can find information regarding such topics on TRU Wellness Centre’s website as well as on their social media pages. Don’t mix different drugs (including pharmaceutical medications – especially benzodiazepines such as Ativan and valium, street drugs, and alcohol). Don’t take drugs when you are alone. Don’t experiment with higher doses and take a small sample of a drug before taking your usual dosage. Keep an eye out for your friends – stay together and look out for one another. Recognize the signs of an OD – difficult to wake, turning blue, slow or no breathing, nausea, confusion, vomiting, and passing out. These are serious, and you need to get medical help ASAP. If someone thinks they may be having an overdose or are witnessing an overdose, call 9-1-1 immediately – do not delay. If you have overdose prevention and response training, and are with someone experiencing an overdose, open their airway and give breaths and/ or administer naloxone (Narcan) until help arrives. Last updated 2:40 p.m. March 2, 2016.